Young key defender still learning the ropes, but with plenty of upside. Her speed will make her best suited to playing on mobile forwards. 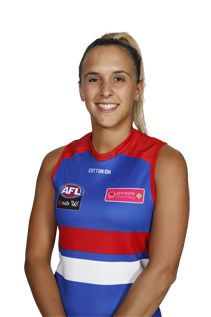 Hunt made her own piece of AFLW history, receiving the first NAB AFLW Rising Star nomination in round one of the 2017 NAB AFLW season.